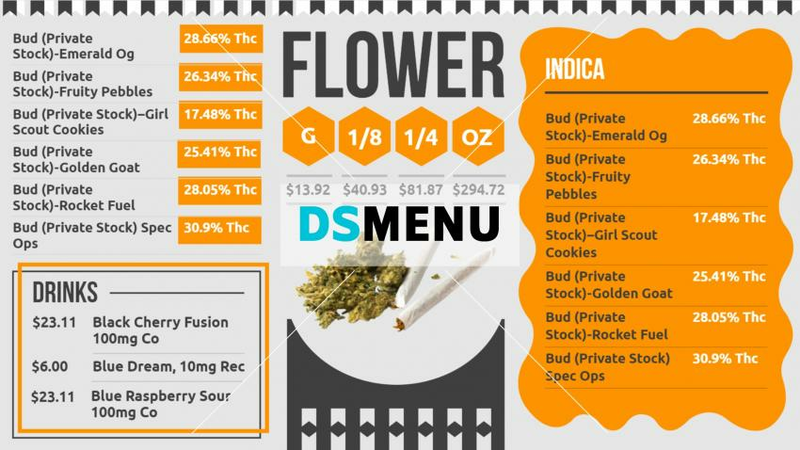 Marijuana Dispensary Menu Board for digital signage. This marijuana menu board has a trendy, sophisticated design and very visually appealing. The white background color is complimented brilliantly by orange , and the black typeface lends the menu board a unique elegance. On a digital screen, this menu board will have a scintillating impact. The structured, compact menu also delineates the sophistication.